Many sources speak to the symptoms that result in ERP implementation failure but few speak to the root cause of these failures. The root cause has more to do with the wrong implementation strategy. Today, the majority of ERP implementations follow a traditional, “build-from-scratch” approach that is not adequate for implementing packaged software like ERP. What is required is an approach that addresses both the inherent advantages and challenges associated with ERP. Following are 10 principles to assist you in building the right ERP implementation strategy. A key challenge in my role as an IT ERP Director was to maximize business value with a shrinking budget. 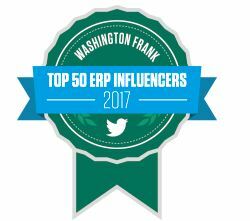 It was quite an education for a person with the majority of his experience in Tier I ERP Consulting. There are many options competing against IT organizations in providing ERP services (SaaS, Cloud, Off-shore and Near-Shore support models). Two key battlegrounds are ERP software development for customizations and ERP support. Is Cloud Ringing the Death Toll for ERP? Cloud computing is here to stay, but what does that mean for those who sell and implement ERP solutions today? How You Gather Requirements Sends a Message! Business is Changing! Don’t Fight it – Embrace It! Knowledge transfer is only the beginning to enablement.